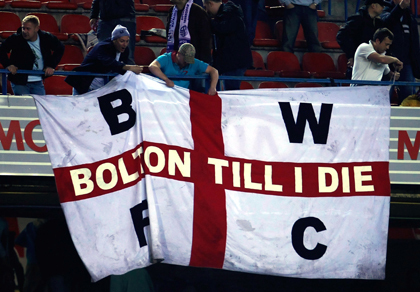 Atheltico Madrid 0-0 Bolton â€“ Are English fans abused abroad? Bolton managed to see out a scoreless stalemate against Athletico Madrid, which took them through to the next round of the UEFA Cup â€“ but celebrations were overshadowed by the heavy handed approach of Spanish police. Weâ€™ve seen it before in European away games â€“ with Man United fans left bruised and bloodied after playing Roma a couple of seasons ago and Spurs fans getting a harsh treatment in Seville more recently. On each occasion itâ€™s been the police that have allegedly been â€˜over zealousâ€™ in their actions â€“ do English fans get a rougher ride in Europe because of past reputations?